Shell’s in-house legal team recently took the lead on the sale of $3.8bn worth of its own North Sea oil and gas assets, with help from panel firm Clifford Chance (CC), as part of a debt reduction push following its takeover of BG Group. Royal Dutch Shell has implemented a rule that all new legal matters must be priced using ‘appropriate’ fee arrangements (AFAs), following the oil major’s most recent panel review in April 2016. AFAs, which include capped fees, fixed fees and contingency fees, have been in place for all litigation work since June 2014, but now apply to all legal matters. In addition, every piece of work will be put out to tender to three or more panel firms. Speaking to Legal Business, associate general counsel for global litigation, strategy and co-ordination Gordon McCue, who led the most recent panel review, said maximum hourly rates are still used in some cases as ‘building blocks’ of AFAs, adding that it was difficult to get away from hourly rates completely because of the compensation culture within law firms. As a result, Shell ran three days of online reverse auctions for its law firms earlier in 2016, with firms entering their initial maximum hourly rate for a lawyer at up to 13 different experience levels. Shell cut its global panel in April 2016 from 11 firms to six, as the company reorganised its legal arrangements following its merger with BG Group. 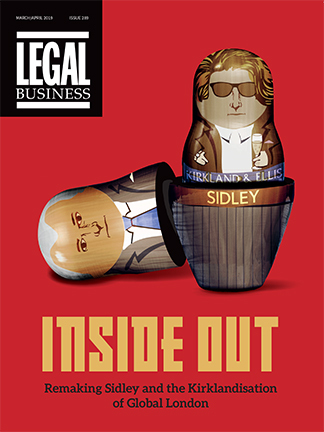 For more on Shell’s legal roster and the art of panel selection, see ‘A buyers’ market’. Following its £47bn takeover of BG Group, Shell has appointed its ‘transitional’ GC James Hine as associate general counsel (GC) for Brazil, a region with one of the most prized oil plays in the world. The energy major is continuing its transfer of BG’s in-house lawyers into Shell’s near 1,000 strong legal unit with redundancies ongoing. Hine becomes associate general counsel for upstream Brazil and Latin America, with managing counsel upstream and head of legal Brazil Silvio Rodrigues reporting to him. Speaking to Legal Business, Shell’s executive vice president and GC for the upstream division, Tom Melbye Eide, said: ‘We have started country by country, asset by asset, to transfer BG lawyers into Shell. That is being executed as we speak. There has been a period of integration which started in February. There was a separate team on integration involved and Hine was part of that. In March Shell started a review of its external legal advisers after finalising the takeover and begun overhauling its respective legal divisions. Eide was officially appointed to his role at the time. He now reports to Shell legal director Donny Ching and sits on the management team for the upstream business. Hine was appointed ‘transitional’ GC and tasked to lead the changeover of BG’s legal team into Shell which is expected to be finalised in the coming weeks. The oil giant’s 980 strong legal team is split over 45 countries using over 100 firms. At the time of the takeover’s announcement, BG Group housed 85 lawyers. 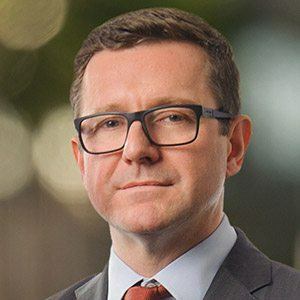 In April Shell slashed its global panel from 11 firms to just six, with Eversheds and Reed Smith the chosen newcomers while Clifford Chance, Allen & Overy, Baker & McKenzie and Norton Rose Fulbright were reappointed. Other legal teams facing job cuts as a result of merger activity include SABMiller, which could make up to 35 staff in the UK-based legal team redundant after its £79bn takeover by Anheuser-Busch InBev. Read more on the Shell in-house team in this year’s GC Powerlist. Royal Dutch Shell has announced its target operating model after finalising its £35bn takeover of BG Group in February, and indicated it will reduce the amount of project lawyers it has due to a drop-off in demand. The announcement, which was made last week, will kick off a discussion with in-house lawyers about what they want to do in the future, with the oil giant offering employees a voluntary severance package. Shell currently has 650 lawyers in its in-house team, while BG’s legal team consists of 140 people – of which approximately 120 are legally qualified. According to Shell’s legal director Donny Ching, conversations are currently ongoing regarding how many of BG’s lawyers will join Shell’s legal team. Last month Shell announced that it was closing three UK offices, including BG’s headquarters in Reading, with the 800 staff there being offered the chance to move to Shell’s London base. A voluntary redundancy plan is ongoing to cut a total of 10,300 jobs across the merged group, with 7,500 from the original the original Shell business and another 2,800 following the takeover of BG. As part of the restructuring, BG’s general counsel (GC) Tom Melbye Eide was officially appointed to the role of executive vice president and GC for the upstream business at Shell in February. He now reports to Ching and sits on the management team for the upstream business. Meanwhile, BG has appointed a ‘transitional’ chief executive, who has a management team tasked with leading the transition of the BG operations. With this in mind, Shell lawyer James Hine has been appointed transitional GC, leading the changeover of BG’s legal team into Shell. Also this week, this publication revealed that Shell was preparing to open its own offshore legal centre to service the oil giant’s global operations. A team reporting to Ching, is currently scouting possible locations and considering headcount numbers for the centre, with a brief to come back by autumn. A mixture of non-qualified and qualified lawyers will be doing more high-end work as well as the traditional back office work which is more typically suited to offshore centres. Potential locations for the centre will ultimately depend on whether Shell can recruit the right quality people in a particular area. The oil giant has also slashed its global panel from 11 firms to just six, with Eversheds and Reed Smith newcomers to the panel. Clifford Chance, Allen & Overy, Baker & McKenzie and Norton Rose Fulbright were reappointed. Dentons, Simmons & Simmons, CMS Cameron McKenna, Debevoise & Plimpton, Holman Fenwick Willan, King & Spalding and Linklaters are among those not named on the multinational oil and gas firm’s global panel. In the latest twist to the offshoring saga, and following news last week that two global 100 firms are to outsource to Poland and Manila, Royal Dutch Shell is preparing to open its own offshore legal centre to service the oil giant’s global operations. A projects team, reporting to the company’s legal director Donny Ching (pictured), is currently scouting possible locations and considering headcount numbers for the centre, with a brief to come back by autumn. Shell’s legal team has already off-shored some specific parts of its work, with a due diligence team in Glasgow and patent search team in Bangalore. However the company has a number of off-shore business centres in locations including Krakow, Glasgow, South Africa, Manila, Bangalore and Malaysia. The trend for offshoring shows no signs of abating, with the news last week that both Norton Rose Fulbright (NRF) and Dentons were to open in Manila and Poland respectively. NRF’s Manila centre, which will launch in September, will provide business support services in marketing, HR, knowledge management and libraries, document production, finance, IT and compliance. The plan is part of the firm’s 2020 global efficiency drive to ‘standardise and improve the firm’s business operations processes and systems’. In a move expected to affect 50 back-office jobs in the UK, the new Dentons Business Services EMEA unit is a joint initiative of the firm’s practices in the UK, Middle East and Africa (UKMEA) and Europe. To launch in Warsaw later this year, the centre will be headed by director Piotr Macieja, who joins from professional services provider TMF. Although the trend is relatively new for in-house teams, a string of major UK law firms have launched low cost support centres both globally and in the UK regions since the 2008 banking crisis ushered in tougher trading conditions, including Allen & Overy, Herbert Smith Freehills and Ashurst. Royal Dutch Shell has cut its global panel from 11 firms to just six, as the company reorganises its legal arrangements following its merger with BG Group. Shell has slashed its global panel from 11 firms to just six, with Eversheds and Reed Smith newcomers to the panel. Clifford Chance, Allen & Overy, Baker & McKenzie and Norton Rose Fulbright have been reappointed. A spokesperson for Shell told Legal Business the firms were chosen for their broad range of service and experience across sectors that were relevant to the company. Shell will still maintain ‘flexibility’ to use other firms, with the oil giant’s 980 strong legal team split over 45 countries still using over 100 firms. The panel will next be reviewed in four years, although Shell said it expects to review its panel rates half way through the term. The review comes after the company finalised its £47bn takeover of BG Group in February this year. Shell obtained 83% shareholders’ approval at a specially convened general meeting at The Hague in January after the deal received regulatory approval at the end of last year. BG’s general counsel (GC) Tom Melbye Eide was appointed to the role of executive vice president and GC for the upstream business at Shell in February. He indicated to Legal Business earlier this year that post-merger Shell’s legal panel would dominate over BG’s. BG’s panel had comprised Freshfields Bruckhaus Deringer, CMS Cameron McKenna and Clifford Chance. Ching, who is featured in this year’s GC Powerlist said his priority is to align the team as closely as possible with the business, a move to help manage spend on legal advisers. Royal Dutch Shell has kicked off a review of its external legal roster after finalising its £47bn takeover of BG Group last month and as their existing panels come to an end. As a result of the takeover, the second-largest energy deal on record, both companies will overhaul their legal divisions. As BG Group general counsel (GC), and now executive vice president and GC for Royal Dutch Shell’s upstream business, Tom Melbye Eide has an enviable addition to his CV, considering his lead role in BG’s £47bn acquisition by Shell, the world’s second-biggest energy deal on record, which completed last month.